Philip A. Raupp. Courtesy of Raupp Memorial Museum, Buffalo Grove, Illinois. [S405] The Cemetery Committee, Vernon Township Cemetery Inscriptions, Lake County, Illinois, 133. [S11] John J. Weidner, Compiled Birth, Death, 389, 442 date & location. [S11] John J. Weidner, Compiled Birth, Death, 442. 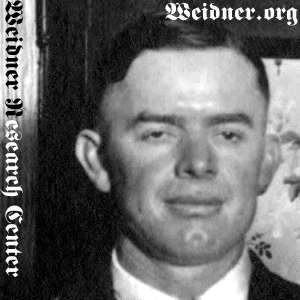 [S11] John J. Weidner, Compiled Birth, Death, 442 date and cemetery name only. [S405] The Cemetery Committee, Vernon Township Cemetery Inscriptions, Lake County, Illinois, 133 location only.